Whiteout & Glare – two meteorological spectacles which cloak the world in harsh, blinding light, causing all landscape definition to disappear. The spectacles by the Berlin-based designer label of the same name are no less radiant and impressive than these natural phenomena. Since 2006 Whiteout & Glare has consistently dazzled with its new ideas, purpose-made materials and in particular the sound craftsmanship of its eyewear. From sunglasses to corrective lenses – the difference is in the detail. The selection of materials and the shapes alone ensure that the end result will be a firm favourite suitable for everyday wear. Every aspect has been carefully thought out and developed. Some might call this “minimalist”, others “pragmatic”. But at Whiteout & Glare it is not terms that count but results – and these range from unpretentious and sturdy to smart and upmarket. Because timeless elegance and distinctive design don’t need trends – they create these for themselves. Since its launch the label has found its inspiration not only in natural phenomena, but all over the globe. The people at Whiteout & Glare closely observe how the world is constantly changing and creating something new. The brand picks up on one particular theme of this endless cycle to represent each of its collections, taking this as its guide throughout the entire design and production process. The combination of new ideas and exceptional craftsmanship thus leads to the creation of glasses of incomparable quality. TI22 denominates the element titanium in the periodic table. 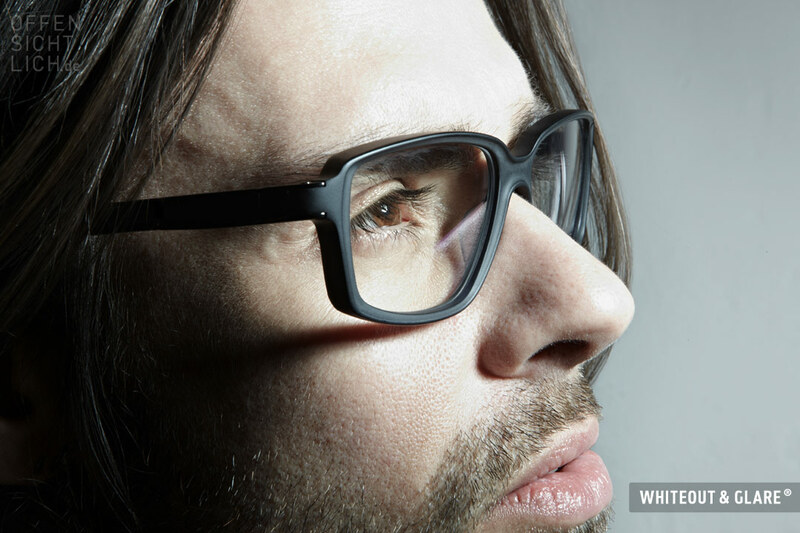 For this reason our genuine acetate spectacles with specially engineered solid titanium comb hinges carry this name. The hinge comes in various types and styles. Something they have all in common is a rugged structure encased in wonderfully sculpted curvatures. Like in the good old days when things used to feel better, we go for a simple and steady construct, however, our nuts and bolts are screws. Front piece and hinge are connected with a screw, since we use no glue and our metal parts are not fused to the acetate, all components can be disassembled and replaced. Cellulose acetate is basically a natural material, although somewhat synthesized. Our shapes are carefully handcrafted and hand-polished. The 8 mm thick acetate material we solely use for our styles is exclusively made for our TI22’s, which enables us to cut sophisticated and detailed shapes with elaborate recesses and sculpted profiles. We want our spectacles to hold steady on your face and once they have been competently adjusted, you shouldn’t worry about the perfect fit of your glasses any more. All moving parts are well balanced and ensure a snug fit. And that’s simply why we do without springy temple designs. All of our mp-specs and mp-slims are made of titanium in comparison to most sheet metal glasses on the market that are made of stainless steel. Special surface treatment, such as PVD coating and lovingly handcrafted gradients from sandblasted to polished complement the lavish finish of our spectacles. In contrast to the majority of customary metal and sheet metal glasses we utilize a specially engineered nose bridge instead of nose pads. The exchangable bridges come in five diverse sizes and are fully adjustable. The built-in core wire ensures absolute contour accuracy. No more bruises, only complete comfort. And virtually invisible. The crystal-like colors of the screw-less spring hinges contrast with hand-polished and blasted titanium surfaces. This unique look through effect creates a very special three-dimensional appearance and lends our spectacles a visual airiness that goes with the light weight design of titanium and nylon (PA). At Malaya Optical in Damansara Uptown or Subang SS15, our team of Optometrist and Product Specialist would be able to assist you to find the right eye wear collection from Whiteout & Glare.